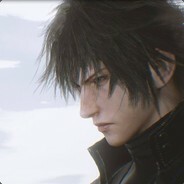 this is the Official Steam group of Lost Soul Aside. You can join this group and play with friends or discuss topics. We hope that you guys will have fun in this group. As you guys now that Lost Soul Aside will be a Playstation 4 time exclusive game you may know that we do our best to bring it to all platforms. China Hero Project released a 7 minutes documentary video. Lost Soul Aside is also part of it and it is with English subtitles. It's been an incredible year for us. Thank you everyone for your continuous support. We are looking forward to 2018. The whole team wishes you guys a happy new year. wanna play this game! badly!